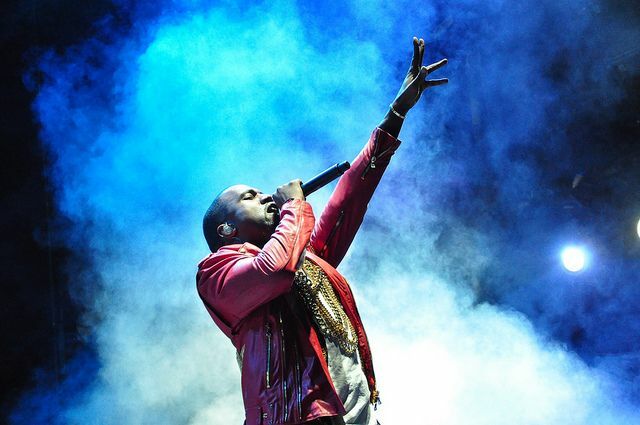 Artists like Kanye West helped drive music video downloads past 1 million in less than 20 days. October 31, 2005: Less than three weeks after launching video downloads with iTunes 6, Apple reveals that it has already sold more than 1 million music videos. Apple’s dive into the online digital video market — with 2,000 music videos, Pixar short films, and a selection of hit TV shows for $1.99 — was the logical next step after selling individual songs on iTunes. Passing the 1 million download benchmark so quickly suggests the plan is a roaring success. As with so much of what Apple has done over the years, the choice to start selling TV shows and other video content came at the perfect time. YouTube was still in its infancy (hence people paying money for music videos). However, increased high-speed internet penetration made video streaming possible for ordinary users. I got my first broadband connection around this time. Previously, anything more than downloading a short video clip had been totally unfeasible. Getting broadband was like being blasted into the future. Apple has a long history of letting users watch videos on their machines. As far back as the 1980s, Apple experimented with demos, like Steve Perlman’s QuickScan, that allowed video playback to run on a Mac. In 1991, Mac users became able to use QuickTime, which served as the standardized video tool for computer users for a long time. By 2005, Apple was working toward a future in which it would produce mobile devices able to support video. This was crucial if downloading music videos and other material was going to live up to its potential — just as the iPod had been key to iTunes music downloads. In October 2005, Apple launched the fifth-gen iPod Classic, with a larger-than-ever screen. This introduced video playback to the music player for the first time. According to the biography Becoming Steve Jobs, the Apple chief pitched new Disney CEO Bob Iger on the idea of opening up his shows to digital distribution by showing him the new video iPod. “Would you consider putting your TV shows on this?” Jobs asked. Iger answered in the affirmative without missing a beat. Ultimately, Apple secured deals to sell downloads of hit shoes like Desperate Housewives, Lost and Grey’s Anatomy. The music video offerings merged this new focus on video with Apple’s existing deals with record labels. Videos by artists like Michael Jackson, Fatboy Slim and Kanye West helped push iTunes past the 1 million downloads mark. Today, when top YouTubers score millions of hits within days and Psy’s “Gangnam Style” video racks up 2.9 billion views, the idea that Apple would have put out a press release to crow about hitting 1 million music video downloads seems astonishingly quaint. However, at the time it was big news. It also laid the foundation for Apple expanding into a whole new area of business. Here in 2018, Apple isn’t just distributing video, but producing its own. Its first efforts in this department have been the critical misfires Planet of the Apps and Carpool Karaoke: The Series. However, the company is now spending $1 billion creating additional shows. It has yet to reveal exactly how these will be distributed. Do you remember the first music video or TV show you downloaded using iTunes? Leave your comments below.